There are some basic things that most patients want for their smiles. They want to know they’re doing all they can to keep their smile health safe. They also want to find ways to make it look better when it’s not looking so lovely. Then, of course, should something go wrong, they want to be able to save it. So, is there a way to know what you need and what to do in these instances? Or, are there so many dental care details to consider that you’re going to need to spend a lot of time figuring things out depending on your requirements? As you may have guessed, we can help make it easy. 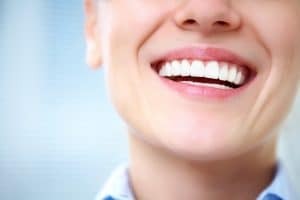 What do you need from us in order to protect your smile health? Easy! You need preventive care. What do you have to do to get it? This is also very easy. You need to see our team every year (two times, six months apart) for what we call a preventive visit. This includes care in the form of a thorough cleaning and exam. Easy and very effective. When what you want is to do something about some problems that you’re having with your smile because it absolutely doesn’t look like you want it to, we can help you beautify it. How, you wonder? We can do this with cosmetic dentistry! Assuming your smile health is okay (if not, we can help with that…see the next topic), then you’re ready for a cosmetic treatment or two! Sometimes, a smile needs rescuing from problems like decay, infection, damage, and more. All you need is our restorative care to fix your smile health! Let us guide you through the care your smile needs to be its absolute best and healthiest. Find out if you’re making good choices by scheduling a visit with your Ankeny, IA dentist today! Contact Peddicord Family Dentistry to set up an appointment by calling 515-963-3339.